As you can imagine, the grass grows very quickly here in Spain, especially in the garden where the acequia waters flood the land each week. 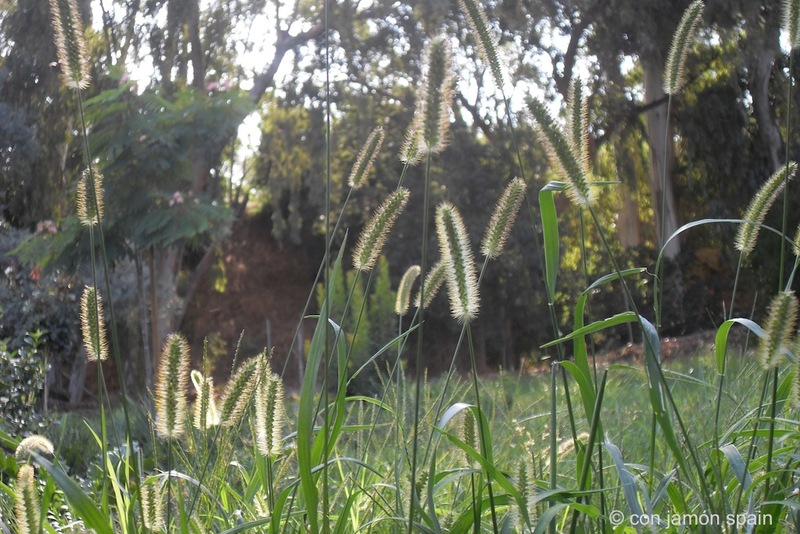 Here’s a photograph we took of some long grass in early evening sunlight. Thanks – it was worth lying on tiles for a few minutes getting covered in ants!